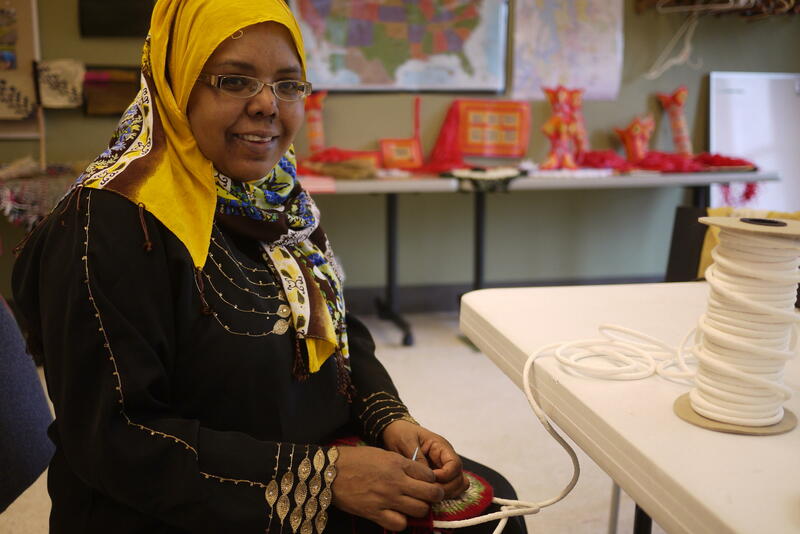 In 2005, Farhiya Mohamed was working full-time as the Somali Domestic Violence Advocate for Seattle’s Refugee Women’s Alliance (ReWA). Although she was passionate about the work was doing, she was troubled over the prevalence of domestic and gender-based violence that she saw in her own community and the lack of awareness and prevention. In addition, she noticed that the Somali women she personally knew and worked with faced extra barriers to getting help; including a fear of reporting abuse to law enforcement. Since 9-11, U.S. government arrests and confiscations of assets of Somalis, among other immigrant groups, have made abused women wary of calling the police. Farhiya realized there was a specific need among Somali women – many of them refugees who had already experienced and fled violence – to address the underlying issues leading to GBV. So Farhiya along with SPS Family Liaison Mohamed Roble, ReWA, and the City of Tukwila formed the Somali Family Safety Project – a coalition to organize South King County’s Somali community to respond to this need. The Project’s workshops, attended by a total of nearly 300 hundred people, resulted in the formation of the Somali Family Safety Task Force (The Task Force) – a permanent community-based-and-operated organization. Since then, The Task Force has worked with women and girls in researching and addressing the underlying causes that contribute to GBV. In addition to violence prevention, The Task Force team realized early on the crucial role reducing isolation and promoting self-efficacy played in combating DV and GBV. In 2013-2014, we held a series of focus groups for 40 East African women and youth who live in NewHolly and the Rainier Valley area. The community requested four projects: a sewing project, a mothers’ support group, an inter generational communication workshop, and trainings to increase parental engagement in schools. Out of the mother’s support group arose even more suggestions and requests from our community that led to our youth and anti-violence programs and computer literacy courses. At the Somali Family Safety Task Force, we pride ourselves in developing programs requested by-and-for our community. As our history highlights, we are not only a community-based-organization but also a community-driven-organization. Today The Task Force serves hundreds of our Somali and East African neighbors in NewHolly and across South Seattle every year; providing valuable skills like financial literacy and voter education as well as youth outreach, mentorship, and community-building. We hope you join us as we continue our tradition of community mobilization by-and-for the community.